Make your customer want to bank with you and brag to their friends. We know you care about your customers, but do your customers know that? Show them your regard with painless services that leverage the latest processing technology. Data validation from the front office and straight through processing to the back. Although a seemingly simple task, changing a customer’s address is a fairly manual process. Depending on the number of accounts the customer has, the teller must update the address information for each one which means spending valuable time jumping between systems and entering repetitive information. Our Retail Banking Solution eliminates the risk of error and duplicative work by leveraging customer information files (CIF) to access customer accounts, regardless of where they live within your system. Automated workflows integrate all forms associated with a customer so when a teller changes the address on one account, the change proliferates to all other accounts (as appropriate) that also contain address information. Not only does this eliminate duplicate work, ensure 100% data validation at the front office and straight-through processing to the back office but it also assures you remain compliant and don’t accidently send bank statements to an old address. When a customer reports the death of a loved one, your processes must react quickly. It is critical to lock the deceased customer’s account to avoid fraudulent activity and halt funding from government programs. Many customers feel displeasure and confusion when it comes to closing a loved one’s accounts – an inefficient and convoluted process exacerbates those feelings. Ensure your clients don’t have to feel any more heartache with integrated checklists that outlines essential information the teller needs to quickly close out accounts. With checklists, the teller collects all the necessary information and prevents the customer from going back to the bank three more times to provide further information, ultimately producing a better customer experience. A signature card is a crucial document to ensure validity and prevent fraud for every customer. Today, many banks still use old fashion paper signature cards which require a customer to be physically present to sign their name. This prolongs the process when a client wants to add a child to their account, for example. Or if a customer wants to close a loan but has to go to the branch that has their signature card to initiate the process. An additional challenge with paper signature cards is that customers can only access their card at their local branch. If they go to a branch that is not their own or their branch is closed for the day, they have no access to the card. These methods are costly for banks and cumbersome for clients who expect online and mobile processes that are quick to execute. Our Retail Banking Solution replaces the traditional method of scanning and archiving signatures with electronic signatures. 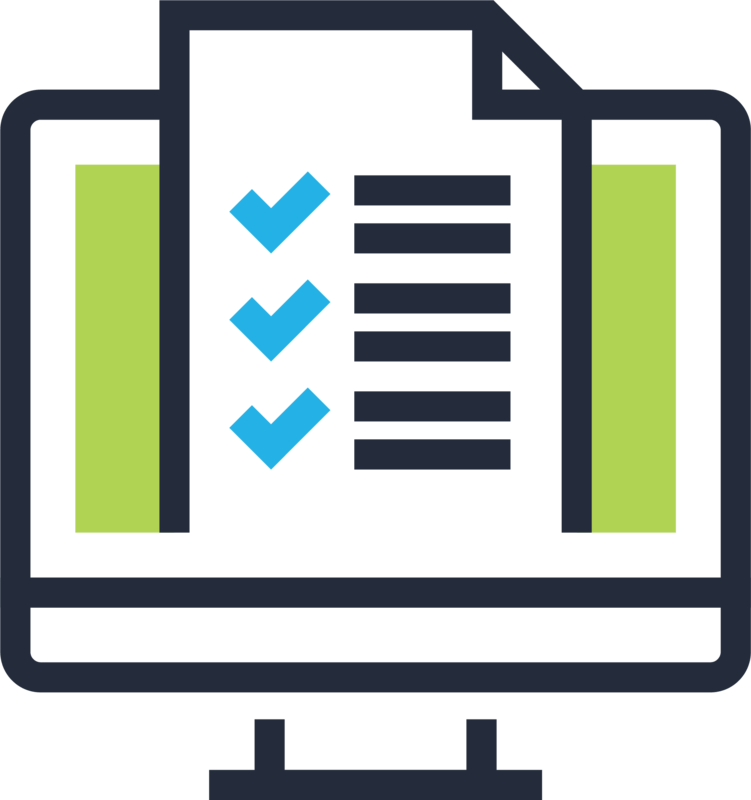 It integrates into any retail process so obtaining, verifying and securing signatures is a whole lot easier. Our partner, eSignLive by Vasco, secures signature blocks with embedded audit trails so you can rest easy knowing that the signatures are safe and valid. 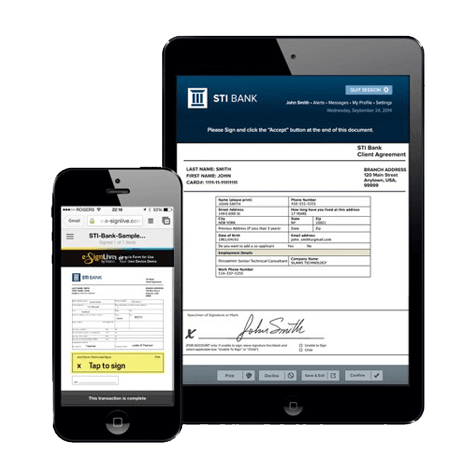 Electronic signature also means that your paper signature card is now an “image” card so every branch can access it regardless of whether your home branch is open. Electronic signatures will save your bank weeks in processing times which will produce exceptional business and happy customers. We can customize the solution to almost any retail operation. Contact us to see how we can help your customers rave about you more.